Coins didn't turn out but I was reminded how coins are made, usually blanks are cut from a sheet so pouring like this was always going to make a button. Must have missed this one. I am very keen to learn lost was casting or even just petrasand casting. Will have to watch this again. They must sheet through a rolling mill i guess. 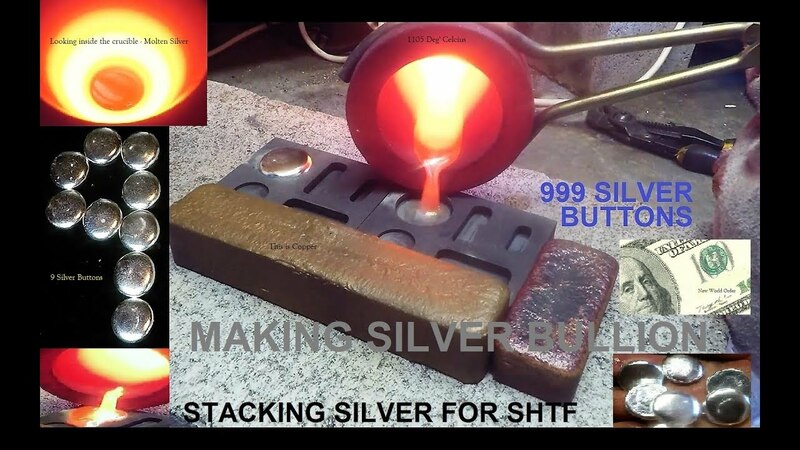 Siver is on a downward slide for years now,still $20 /adds up............I generally just try burning the bit with the oxy torch on a clean steel plate.If there is silver ,it melts and spreads all over ...bit of borax helps......ally capacitors just burn up..........You can do a chemical analysis if you want,but the torch is quicker and cheaper.